" Snuggle" -- 30" x 24", acrylic. 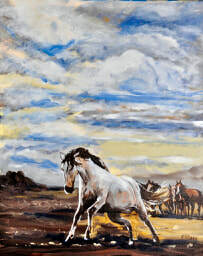 For more information or pricing on a particular painting,please contact Roy's studio directly. 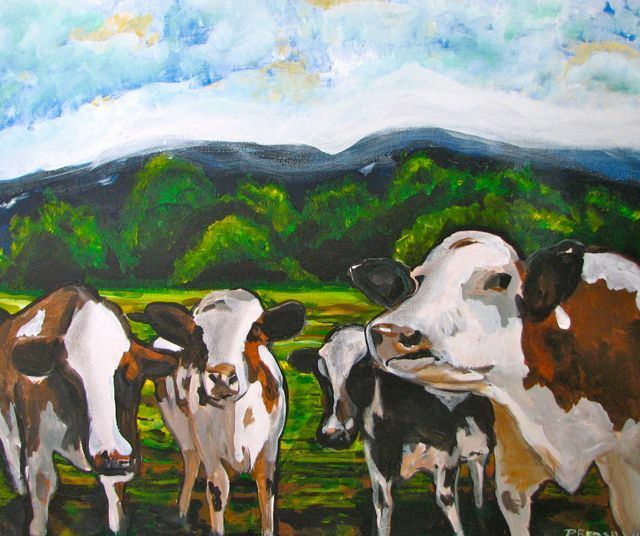 "Country Cows"-- 24" x 30", acrylic.
" 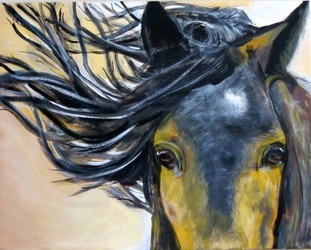 Stallion" -- 30" x 24", acrylic. 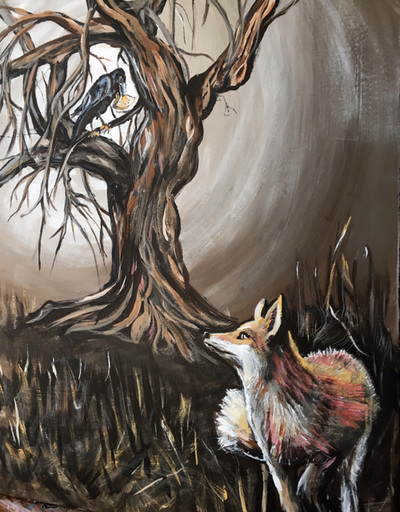 The Fox and the Crow --- 30"x24", acrylic, SOLD. 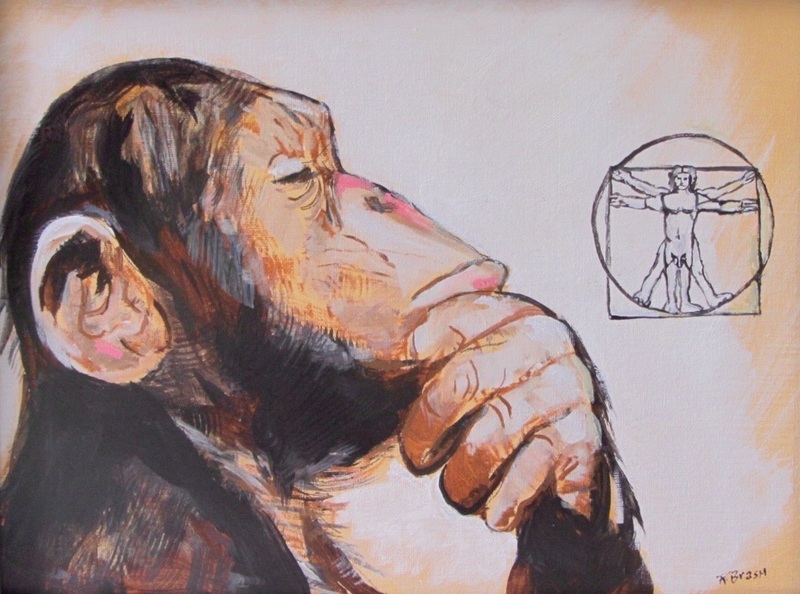 Critical Thinking-- 12"x16" , acrylic, SOLD. 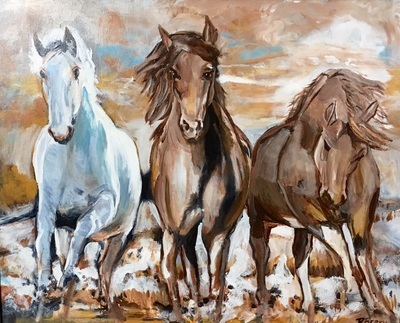 "Three Horses" -- 24"x30", acrylic, SOLD. 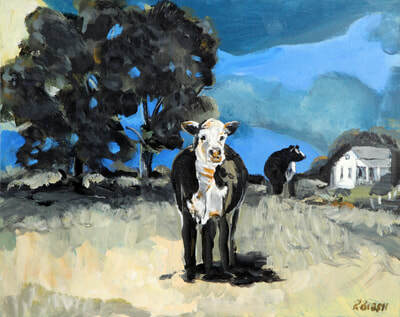 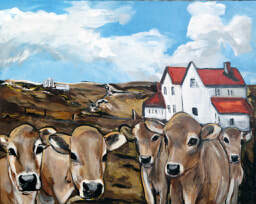 "Cows in the Yard--16"x20", acrylic. "Soaring Crows"-- 30" x 24", acrylic.
" The Couple" -- 30"x 30", acrylic. 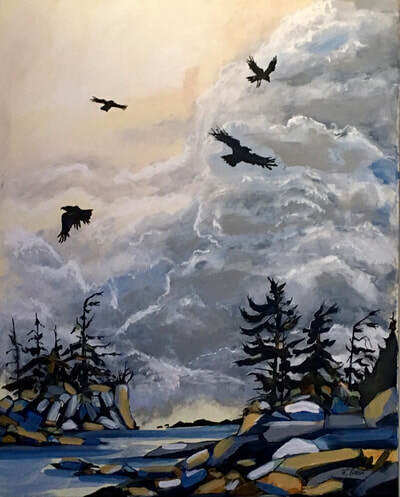 "Lone Goose"-- 36" x48", acrylic.